Is recreational property right for you? 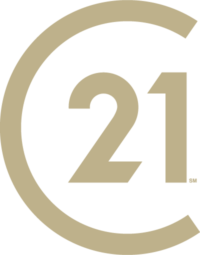 – Century 21 Lakeside Realty Ltd.
More and more people – especially “Baby Boomers” – are looking at recreation property ownership as a perfect way of finding peace and tranquility. Studies show that boomers are the fastest-growing group of recreation property owners. The need to find that special spot away from it all – plus today’s interest rates – have fueled demand. Is this the right time to buy that hideaway you have been dreaming of, and is it the right buy for you? Owning your primary residence does not completely prepare you for owning vacation property. In many ways buying recreational property is like buying any other form of real estate but some of the details are quite unique. Like owning a home, there are benefits and challenges to owning recreation property and our REALTORS® who specialize in this particular area of “cottage country” will be of tremendous help in making your purchase a success. Whether in a city or small town, most homes are located in a subdivision that stipulates building scheme; supplies water, sewer and other utilities and provides an established layout of roads and sidewalks. Cottage development, on the other hand, rarely follows this established pattern. Most cottages that border waterfront have been developed over the course of many years and often regional planning involvement has been limited and most day-to-day concerns are handled by local associations. Waterfront properties are often subject to the rules of regulatory bodies that control what can be done with beach and shoreline. These regulations may prevent cottage owners from making additions or installing new structures. They may also prevent an owner from altering the slope of the land. Generally, docks, boathouses, retaining walls and other structures require permission from the appropriate government authorities. Before purchasing a cottage property, you should check on the legality of the current structures and ensure that any changes can be undertaken in the future. Not all cottages are located on public roadways. The access road is not always public and may involve a private right-of-way. A buyer needs to investigate who it responsible for the upkeep of the road and whether it is open year-round. Some cottages are accessed only by boat, which means you will require water transportation as well as parking on the mainland. Seldom are cottage properties served by municipal sewer and water systems. Domestic water can come from wells, lakes or rivers, or private utilities. Septic systems are often used for waste disposal. These are government regulated and cottagers must comply with the requirements.